Costco during August brings sales on school supplies and items that are great for school lunches. We also see some really nice markdowns on items that are summer specific. We even see some items for Halloween. 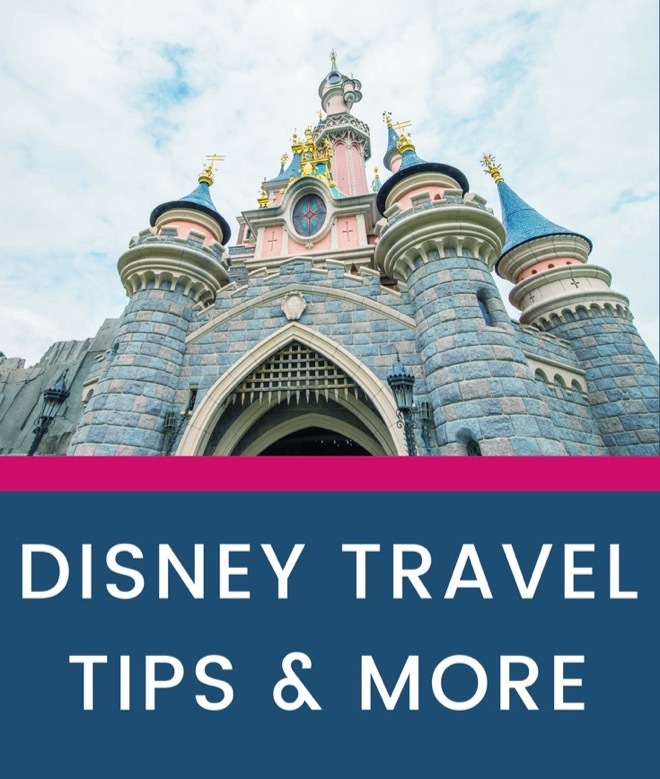 A new coupon book was released and the prices are valid through September 2nd. 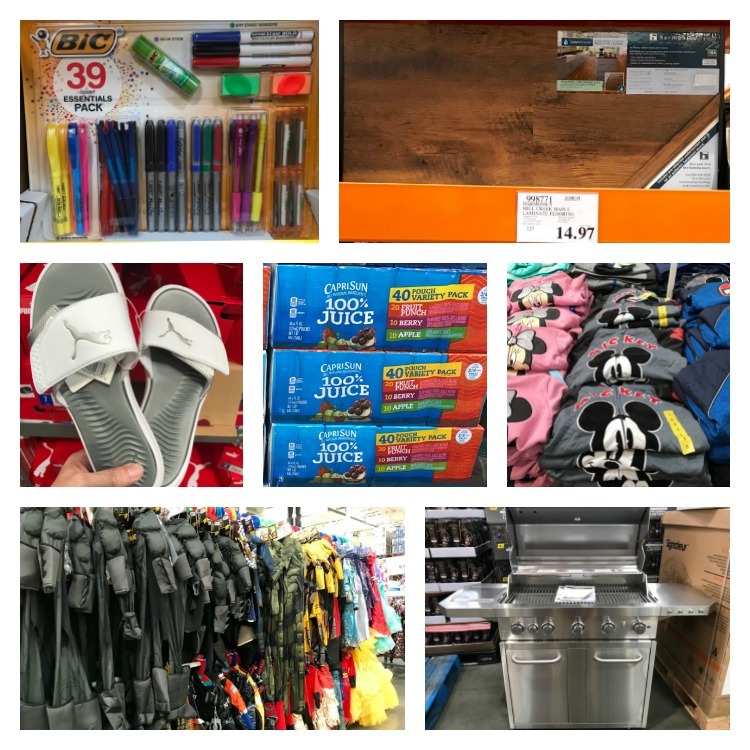 Here is a fun peek at the great new items, deals and markdowns I found at Costco for August. These items were found at my store in Covington, WA. 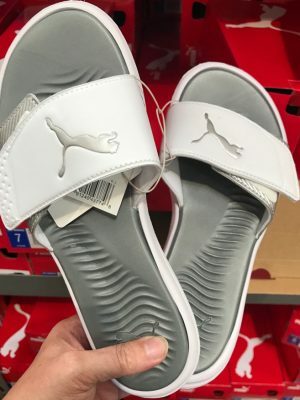 One of the best markdowns I found this month was Puma slides for men and women marked down to only $4.97. 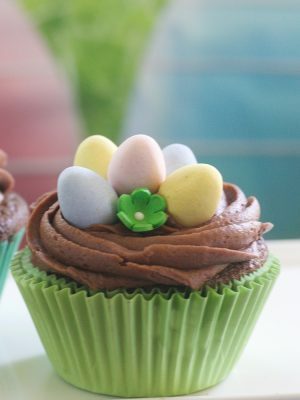 If you find these, you can buy them now for next year. 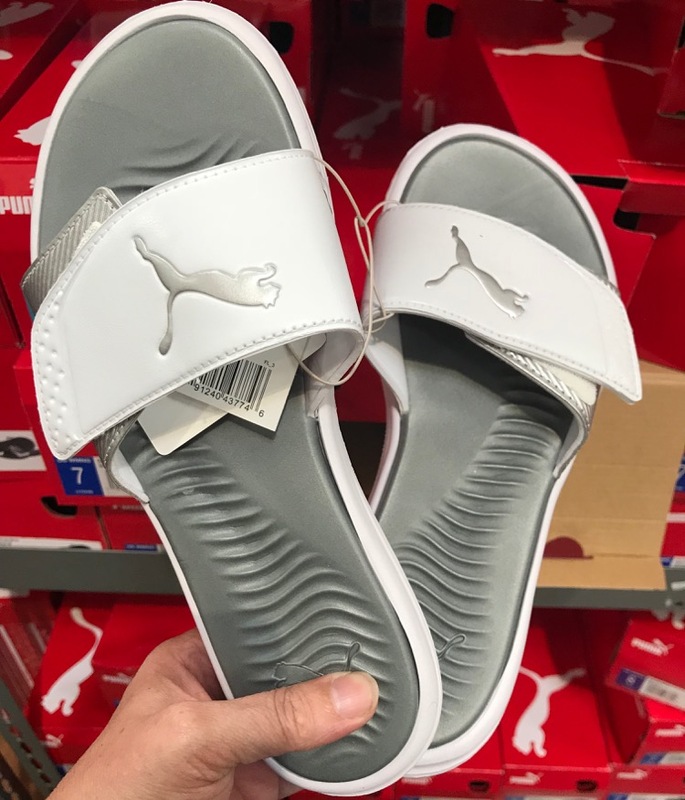 These also work great for taking to swim lessons if you have older kids that can wear adult sizes. 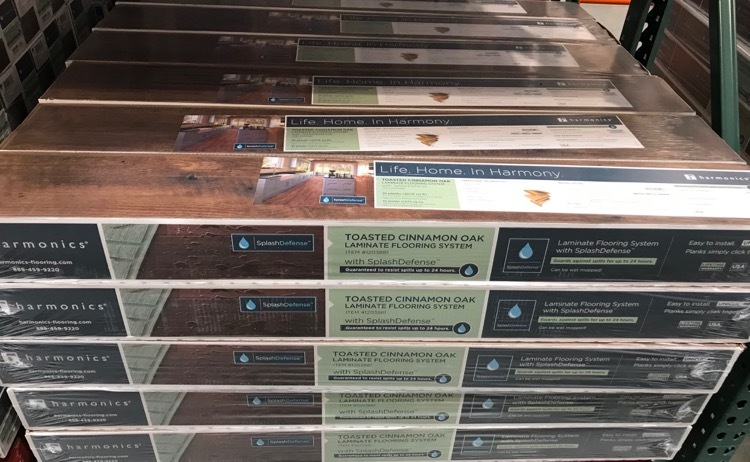 Another amazing markdown I found was this laminate flooring for only $14.97. I’m pretty sure this is 50% off (or more) of the regular price. 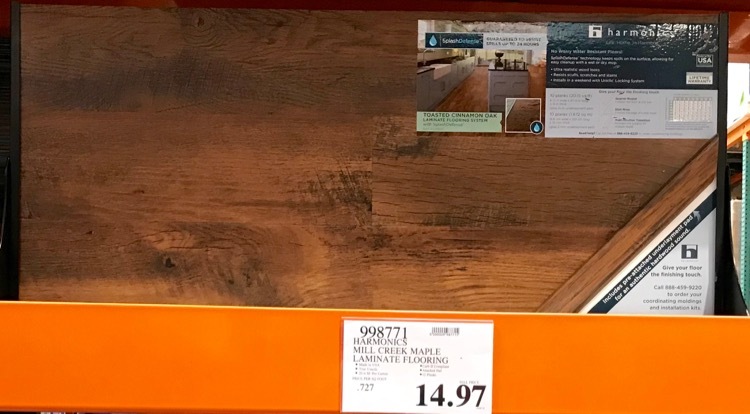 These will probably go quick, but if you are looking for flooring you might check your Costco. 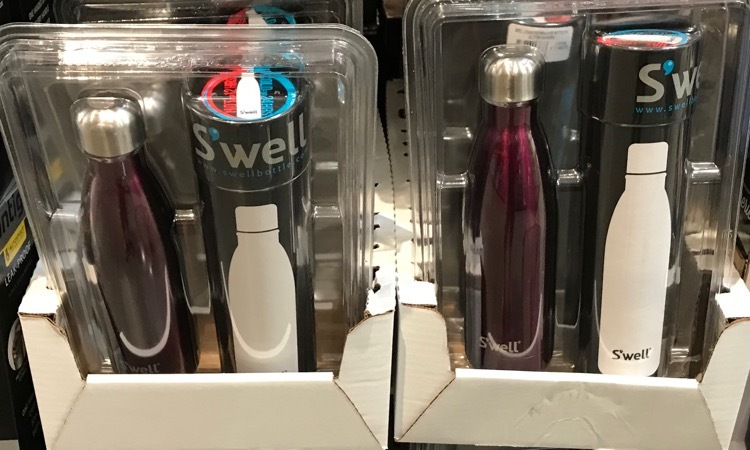 Another markdown I noticed was S’well stainless steel bottles for $14.97. 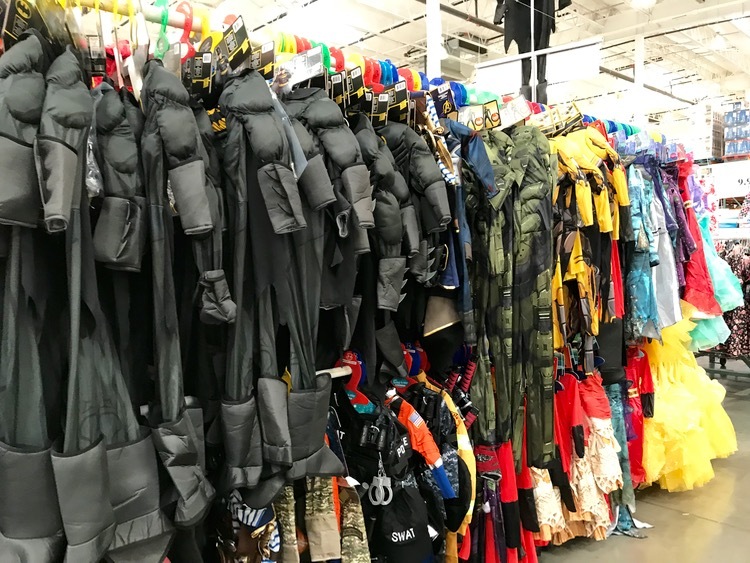 Costco is clearing out the last of the spring and summer items. 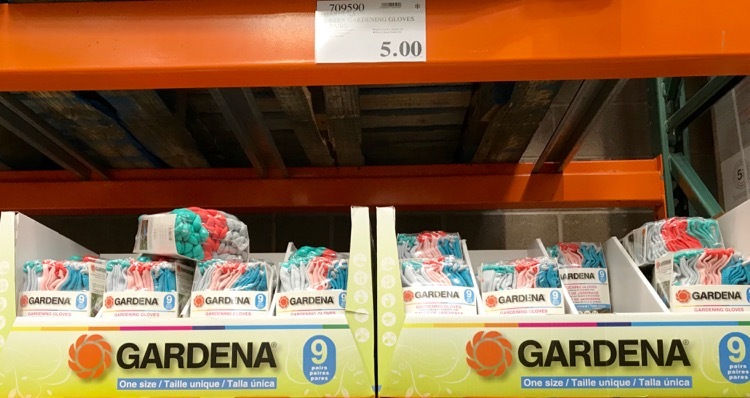 This 9-pack of women’s garden gloves is only $5.00, that makes each pair of gloves only $.56 each. 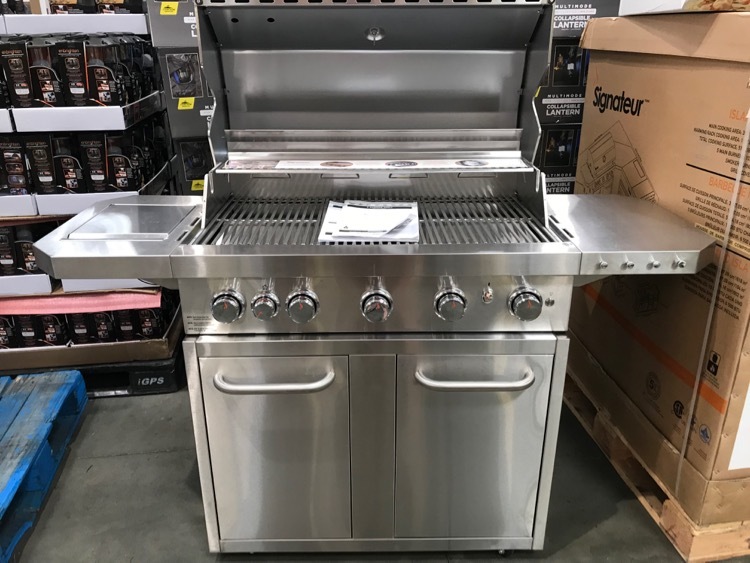 Now is the time to shop for a grill because they are on clearance. This one was marked down to $499.97. My store had several of them in-stock. 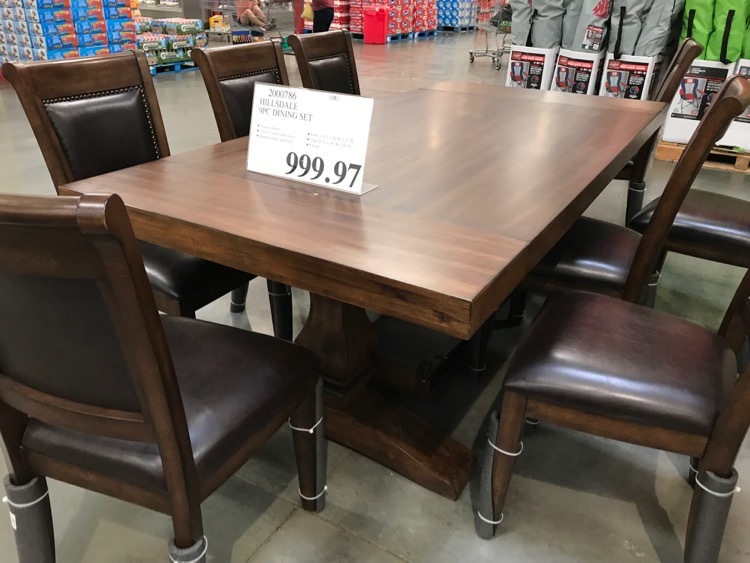 You should find that Costco is starting to clear out the furniture they have in stock. They will need the room for the upcoming holidays. Yes, it will be Christmas before we know it. 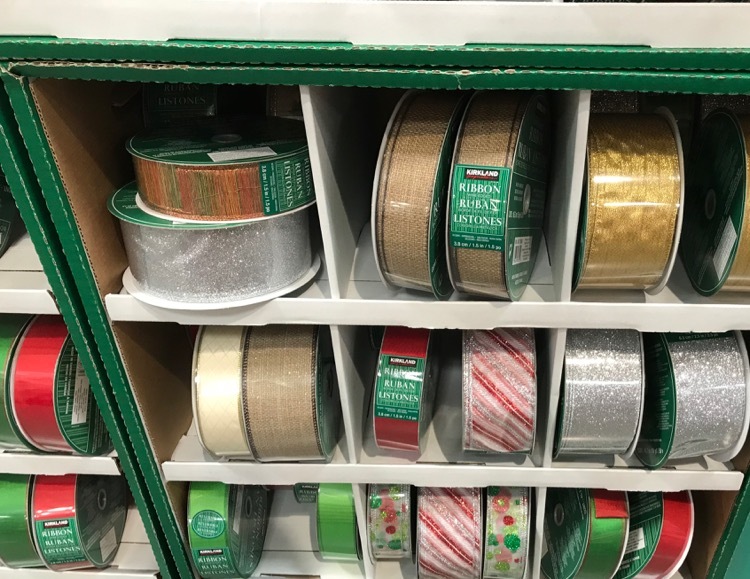 Speaking of Christmas, my store already has the Christmas ribbon in-stock. This month there are also lots of deals that are great for the kids heading back to school or off to college. 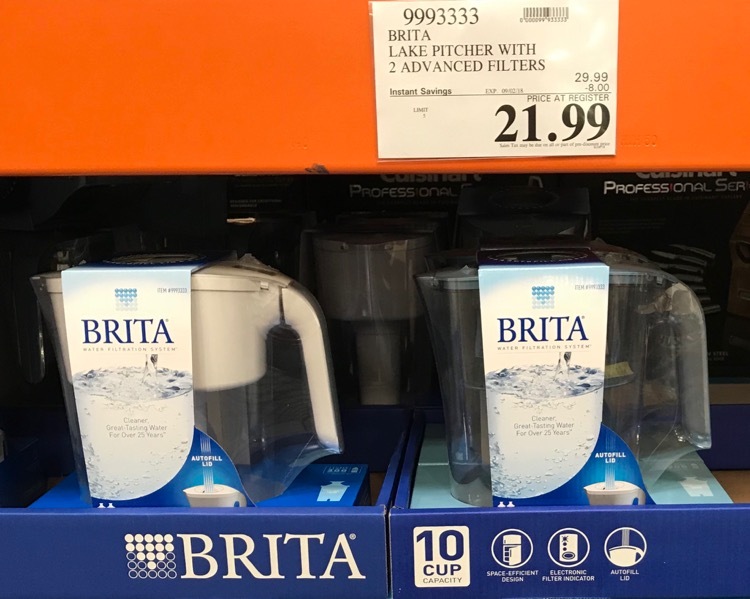 I picked up this Brita pitcher and filters for my college kids. 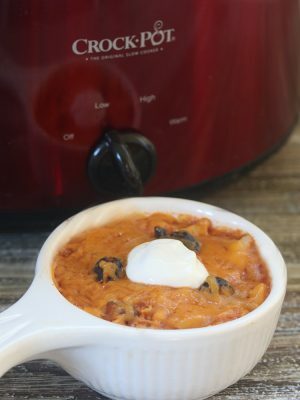 You can save $8 with the instant savings. 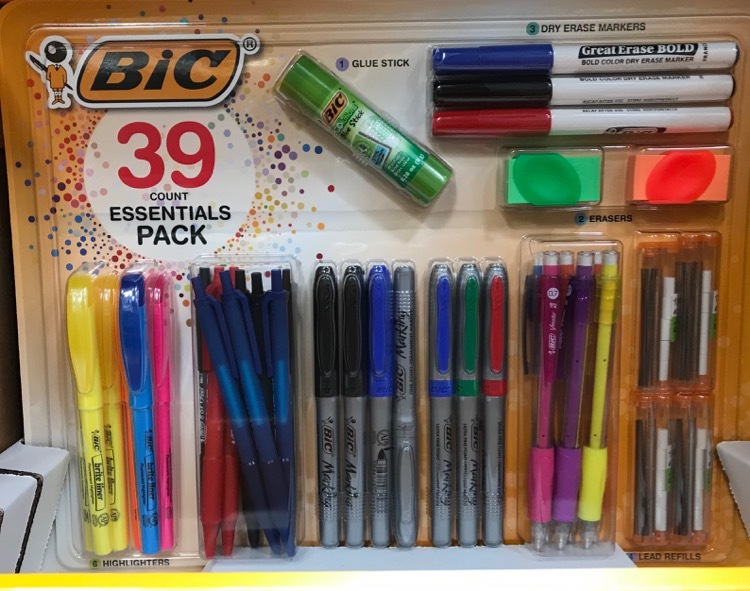 This Bic 39-piece essentials pack is only $6.39 (reg $9.89). This price is valid through 8/31. 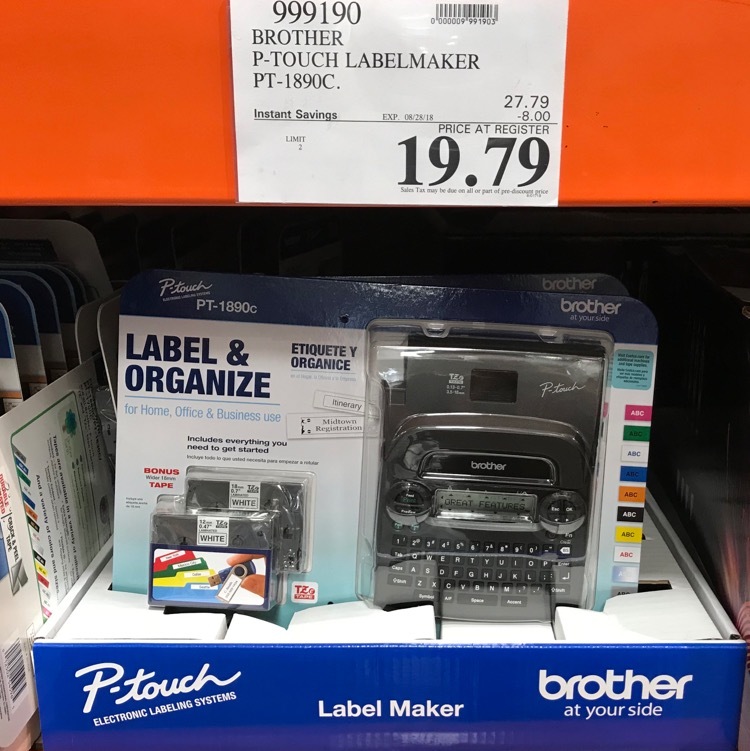 Save $8 on the P-touch Label Maker. I have a smaller P-touch label maker and it has come in handy labeling so many things around the house, I am so glad I bought one. 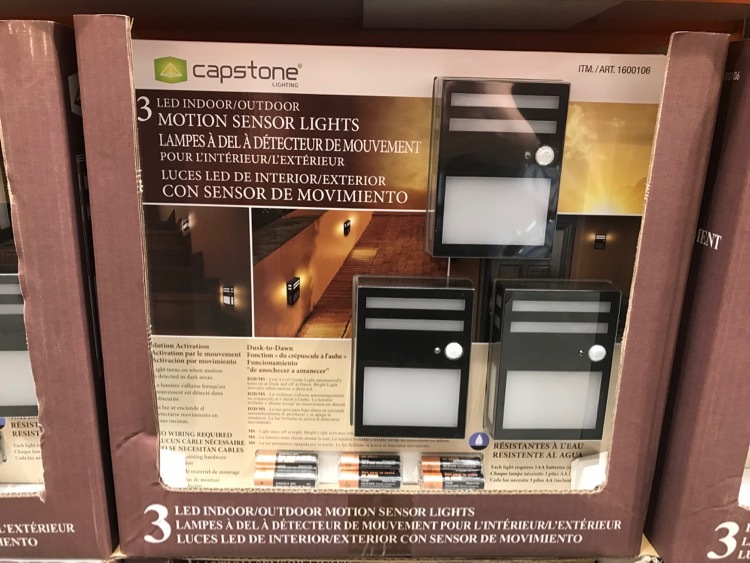 I liked these indoor/outdoor motion sensor lights. They would be perfect for an outside walkway that we have that doesn’t get much light. 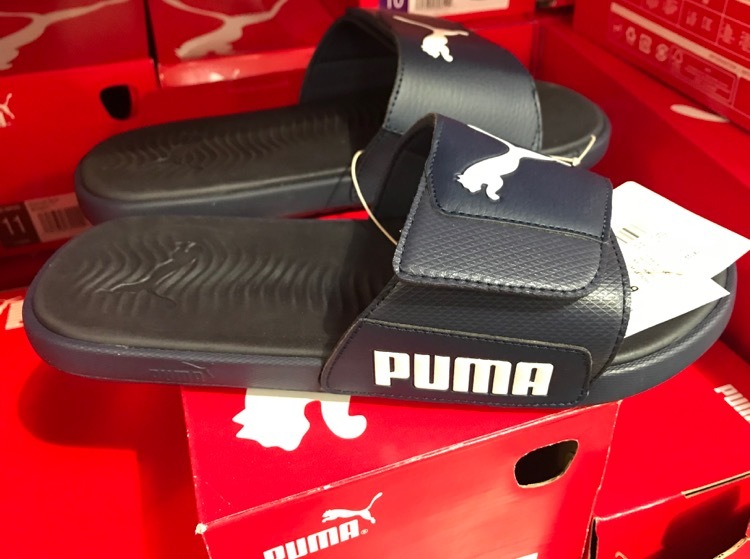 They are $19.99 for three. 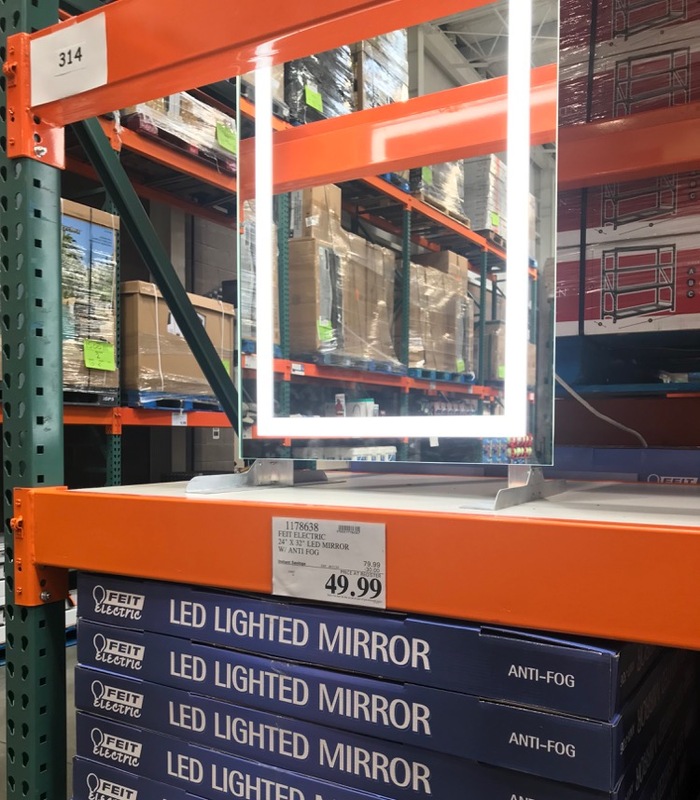 Costco has big savings on the FEIT Electric LED lighted mirror. It’s normally $79.99, but you can save $30 and get it for only $49.99. As usual, I can go to Costco without wandering through the kitchen section. 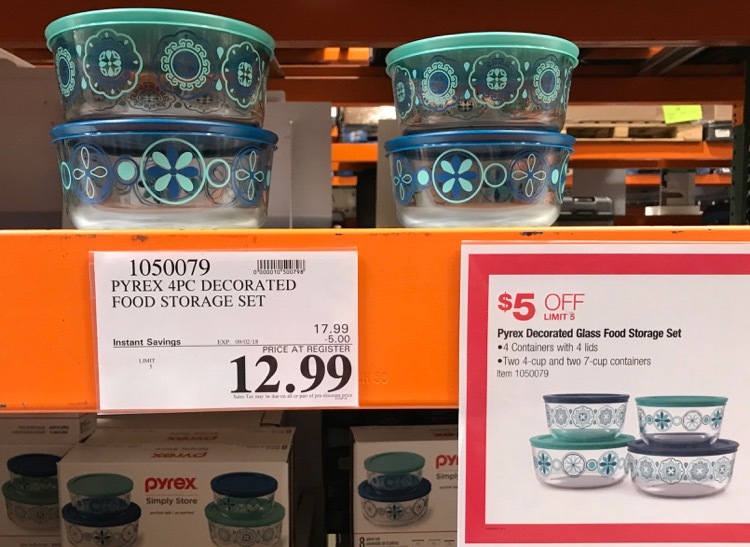 This pretty Pyrex glass food storage set is $5 off and priced at only $12.99. 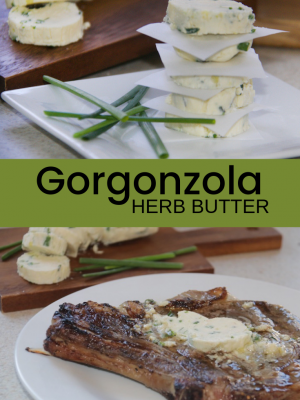 Here is an items that I think would make a great gift, and it’s an amazing price. 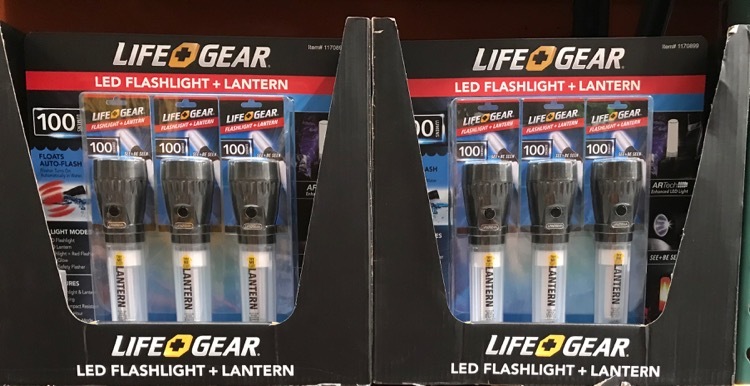 Get a 3-pack of Life Gear LED flashlight + lantern combos for only $9.99. This makes each flashlight only $3.33. I’m fairly certain each of these flashlights is individually packaged so they would be easy to split up. We bought these Bits & Bolts storage containers to help us get our garage organized. You can get a 12-pack for $15.99. 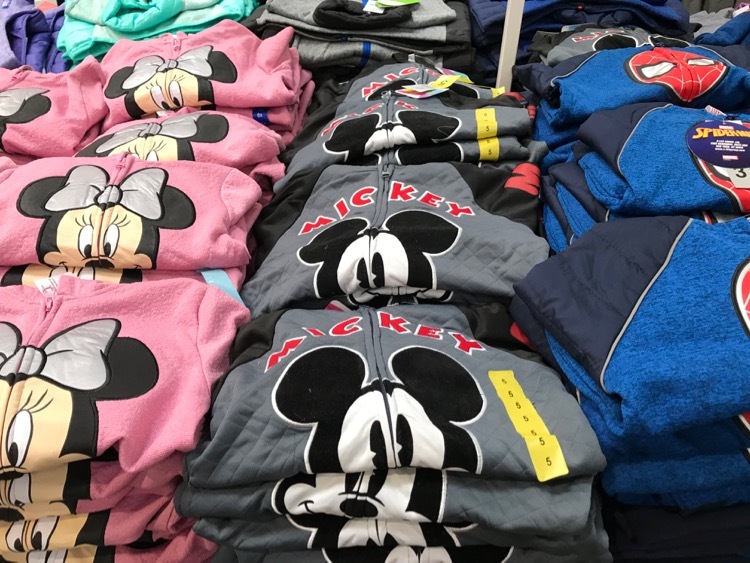 Kids cute character hoodies are only $9.99. It’s August so of course that means Halloween costumes are out. I swear they come out earlier and earlier every year. 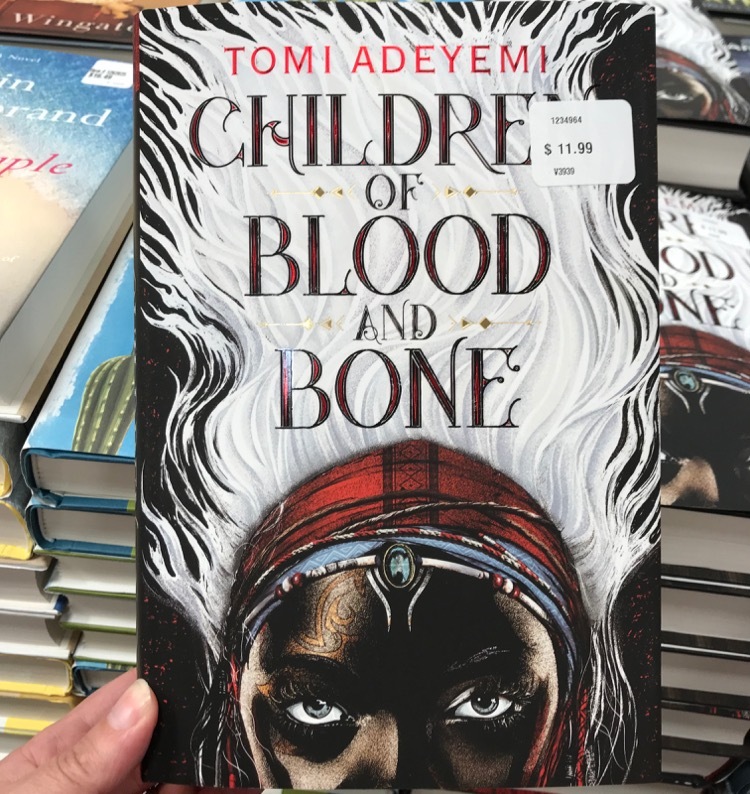 Costco is one of my favorite places to buy books for gifts. 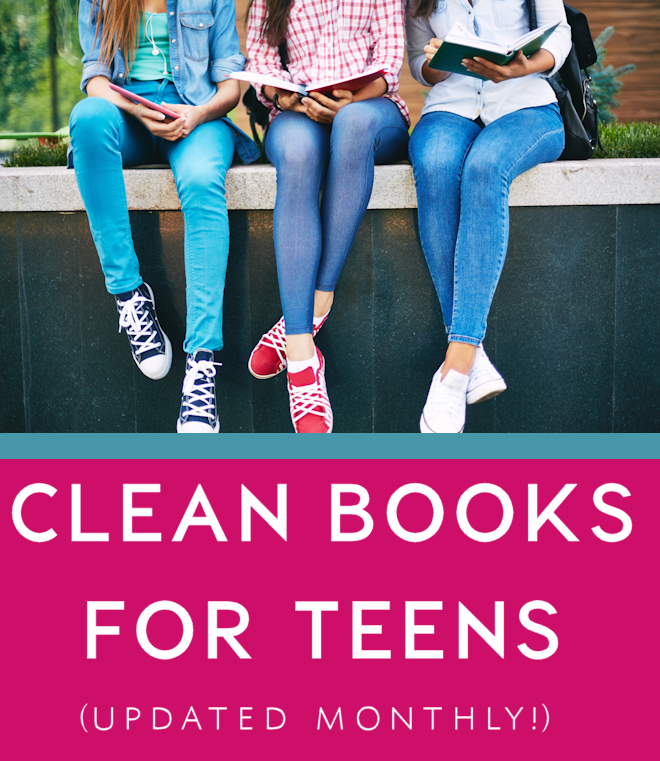 The prices are great and they have a nice selection of popular books. I have heard lots of good things about this one. 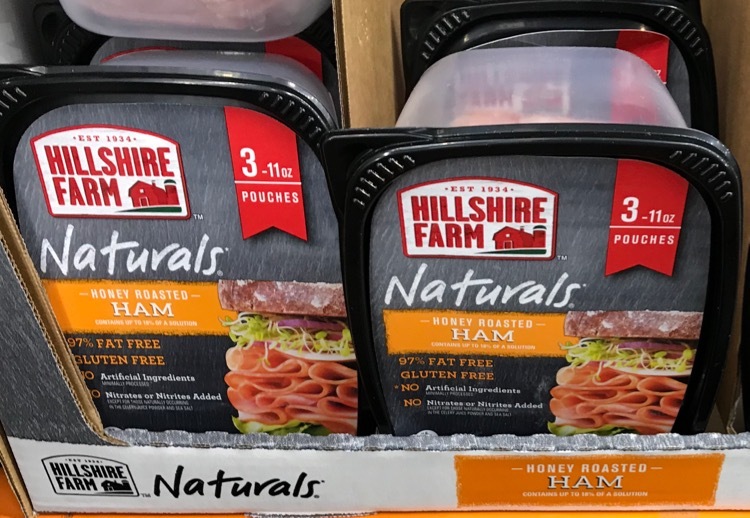 We love Hillshire Farm brand and this price of $6.59 is a super deal. 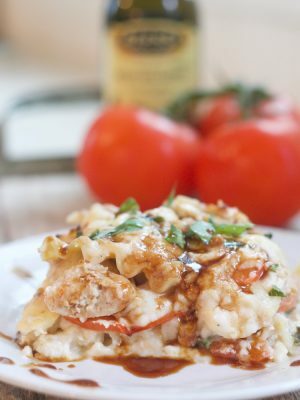 There are a lot of coupon savings that are also great for back-to-school lunches. 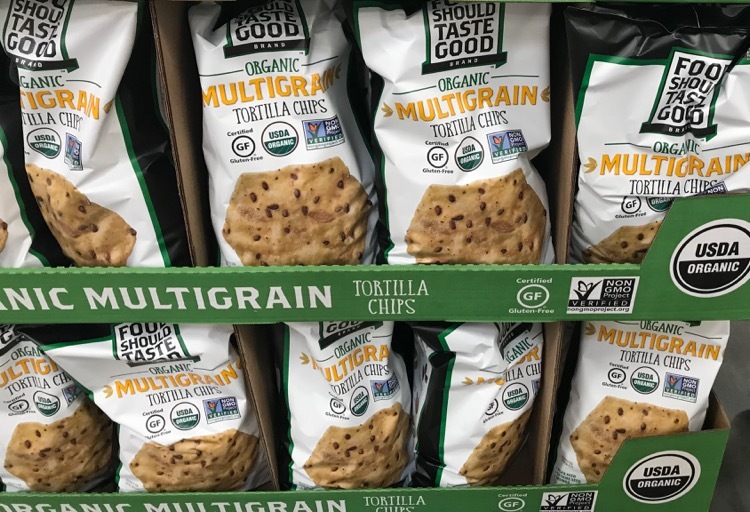 The Food Should Taste Good organic Multigrain chips are only $4.99 (reg $6.99). Get a 40-pack of Capri Sun 100% juice pouches for only $6.99. 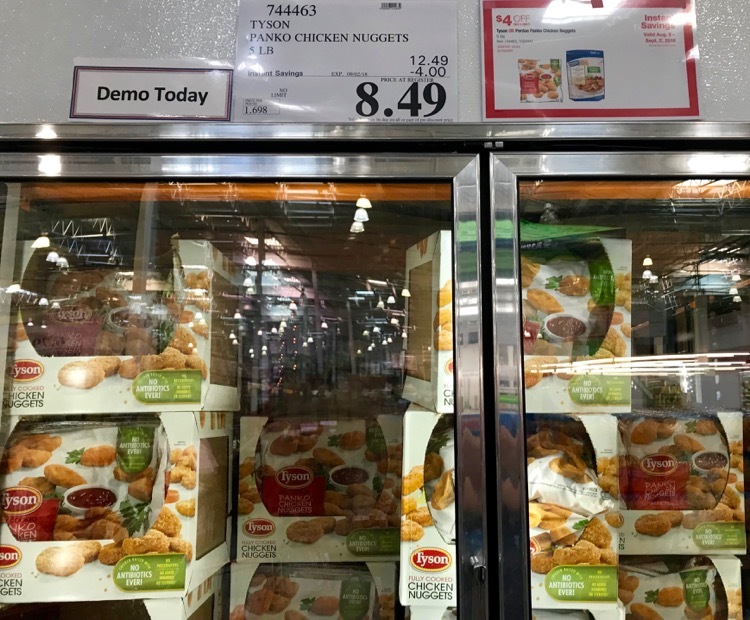 There are great savings on Tyson Chicken Nuggets too. Save $4 on the bag, get them for only $8.49. 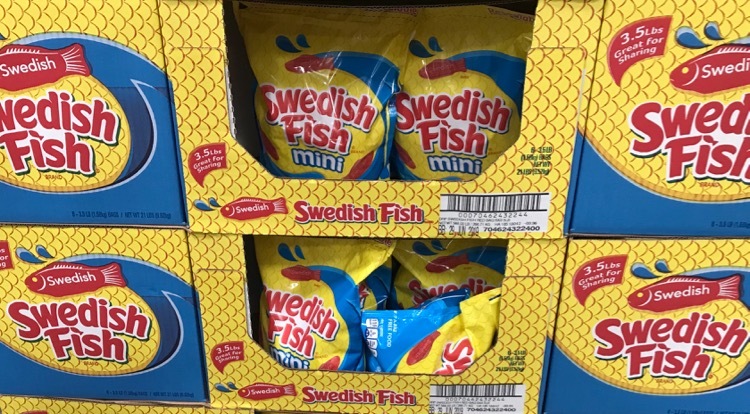 My Costco is now carrying Swedish Fish and they are only $4.99 for a big 3.5 lb bag. Costco is carrying a new WildRoots trail mix, Salted Caramel Chocolate Banana trail mix. This sounds heavenly, minus the banana part, I am not a fan of banana flavored anything. Lastly, if you are looking for a short cut when it comes to S’mores have I got a deal for you. 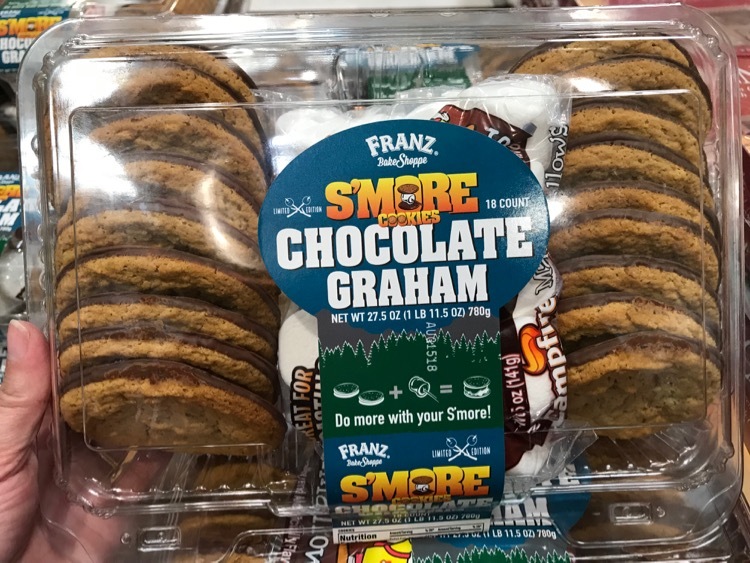 You can get these Franz Chocolate covered cookies with marshmallows in the package. It actually sounds kind of convenient, everything is all in one package.